UPDATE: Missing 70 year old has been found! FOUND: William Dupon was last seen in the area of Lake and Scott in St. Catharines around 4:45pm but could be attempting to hitchhike. William Dupon has been located. On Friday March 9, 2018 uniform officers of the Niagara Regional Police Services responded for a missing person report in Niagara Falls. William Dupon was last seen in the area of Lake and Scott in St. Catharines around 4:45pm but could be attempting to hitchhike. 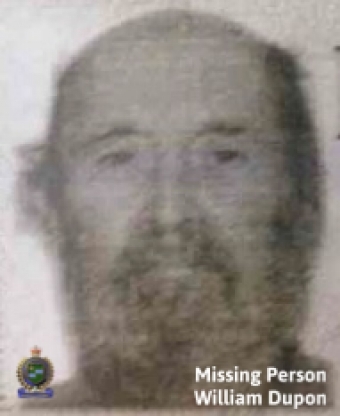 Dupon is described as a white male, 70 years old with grey and black short hair with a grey and black beard. He is 5'9" tall and 175 lbs. Dupon was wearing a black cowboy hat, jean jacket, blue jeans and black leather boots. He walks with a slow gait. Family and police are concerned for the welfare of William and ask for the assistance of the public in locating him.